A new issue of Cavalcade of Risk has just been posted at John Leppard’s blog, Healthcare Manumission. Check it out! In other matters, we’d like to direct your attention to our sidebar of resources, which you can find over in the right hand column of this blog. If you haven’t checked it out in awhile, you may find some handy resources. Over the past few weeks, we’ve double checked all links, deleted a few broken ones, added a few news ones, and generally tidied things up. National Crash Statistics – stats for large trucks and buses involved in fatal and non-fatal crashes that occurred in the United States. These statistics are derived from two sources: the Fatality Analysis Reporting System (FARS) and the Motor Carrier Management Information System (MCMIS). Crash Statistics contain information that can be used to identify safety problems in specific geographical areas or to compare state statistics to the national crash figures. Workers Comp Matters – legal podcasts on a variety of workers’ comp topics hosted by Massachusetts plaintiff attorney Alan S. Pierce at the Legal Talk Network. Workplace Safety – safety articles from Reliable Plant, a publication which focuses on manufacturing processes and plant operations. City Data – If need to research any city, zip code, or neighborhood for any reason, this is is a good starting place. It compiles and presents a wide variety of data, stats, photos, maps, news, and reports. American Agent & Broker – magazine aimed at property & casualty agents and brokers. Related: editor Laura Mazzuca Toops’ blog, Agent for Change. Mashable – Whether you’re a newbie just venturing a toe in the Web 2.0 water or an early adapter wanting to stay up on the latest Twitter and Facebook news, this site has a lot to offer – from “how to” guides and tips to breaking news and technology trends. Communicating With and About People with Disabilities – the Office of Disability and Employment Policy offers a chart with affirmative and negative phrases when speaking about people with disabilities, as well as general communication tips when interacting with people with disabilities. Legistalker – Wanting to follow your congressperson during key issues? Try Legistalker, a site that makes it easy to stay on top of what your elected officials say and how they vote. The database is updated every 20 seconds, and relies on data from Twitter, YouTube, Capitol Words, literally hundreds of different news sources, and others. 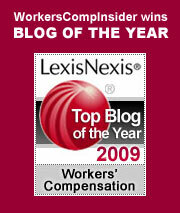 Work Matters– a good blog on labor and employment law by Texas attorney Michael P. Maslanka. eLCOSH images – a collection of images intended to educate and promote safety and health in construction. The searchable collection includes images that may illustrate good practices or bad practices. Images are available for free use (with some restrictions) in print publications, training presentations, videos, websites, etc. and can be downloaded in resolutions appropriate for both print use and screen use. U.S. Chemical Safety and Hazard Investigation Board – independent federal agency charged with conducting root cause investigations of chemical accidents at fixed industrial facilities. Root causes are usually deficiencies in safety management systems, but can be any factor that would have prevented the accident if that factor had not occurred. The agency does not issue fines or citations, but does make recommendations to plants, regulatory agencies such as OSHA and the EPA, industry organizations, and labor groups. Congress designed the CSB to be non-regulatory and independent of other agencies so that its investigations might, where appropriate, review the effectiveness of regulations and regulatory enforcement. This entry was posted on Wednesday, February 10th, 2010 at 1:38 pm	and is filed under News roundups, Tools & Resources. You can follow any responses to this entry through the RSS 2.0 feed. Both comments and pings are currently closed.